We’re giving away 4 full Humble bundles (one of each) to 4 lucky members of our Steam group! The giveaway starts now, and the winners will be randomly decided tomorrow, on Christmas day, and contacted via Steam with their gift codes! To play, first make sure you’re a member of our Steam group, then just comment below your Steam username and which bundle you want! Good luck everyone and happy holidays! Humble MangaGamer and Friends Bundle – In this MangaGamer game collection by Humble Bundle, you’ll score If My Heart Had Wings, Princess Evangile All Ages Version, Go! Go! Nippon! Complete Collection, the complete set of Higurashi When They Cry Hou, and more! – goes to jackolantern! Congrats! Humble Mobile Bundle: Indie Hits presented by Noodlecake – Keep amused with up to eleven titles, including FRAMED 2, The Bug Butcher, Shooting Stars!, Tower Dwellers, and more awesome picks for your Android device! – goes to OSaucan! Congrats! Humble Software Bundle: VEGAS Pro: Discover Creative Freedom – Professional video editing is within your grasp with our new software bundle! Get VEGAS Pro 14 Edit, MAGIX Video Sound Cleaning Lab, MAGIX Photostory Deluxe, plus goodies like Soundpool: Stranger Synths and MAGIX Vintage Effects Suite. With all of these tools, your creations will be too awesome to just stay in VEGAS Pro. – goes to jeffster! Congrats! I’m Ecciel on Steam and I want Humble MangaGamer and Friends Bundle. Thanks! Humble Software Bundle: VEGAS Pro: Discover Creative Freedom would be Pretty Amazing.. Good luck everyone and Happy Holidays! I am also level 31 ish at the time of posting! Hi, my steam name is kasper260800 and i would love the “MangaGamer and Friends Bundle”. So many great games in there that i wanna try out. I am ACWraith and I would like Humble Software Bundle: VEGAS Pro: Discover Creative Freedom. Wonderful giveaway! I would like Humble MangaGamer and Friends Bundle. My Steam username is joonior_bmf. I want Humble Mobile Bundle: Indie Hits presented by Noodlecake. Login: ggn_kua in steam, would like VEGAS Pro: Discover Creative Freedom bundle. Hi! Thanks for the cahnce! good luck everyone and Merry Christmass! Hi! Thank you for that chance! I’m feeling in the creative mood, so I should very much like to win the Humble Book Bundle: Maker Skill Builders by Make, thank you very much! I’d love to win the mobile bundle! I want the mobile bundle. Ich wünsch mir Humble Software Bundle: VEGAS Pro: Discover Creative Freedom bitte. Thanks a lot <3 !! Merry Christmas to all and TY for the giveaway! Humble MangaGamer and Friends Bundle. I would like the Humble MangaGamer and Friends Bundle, if possible. Thank you very much and merry Christmas! Thanks for doing this, good luck guys. Humble MangaGamer and Friends Bundle . Thanks. Humble Software Bundle: VEGAS Pro: Discover Creative Freedom! …would be my choice. Thank you for the chance at such a nice SW bundle. borc on Steam and the MangaGamer one sounds good! 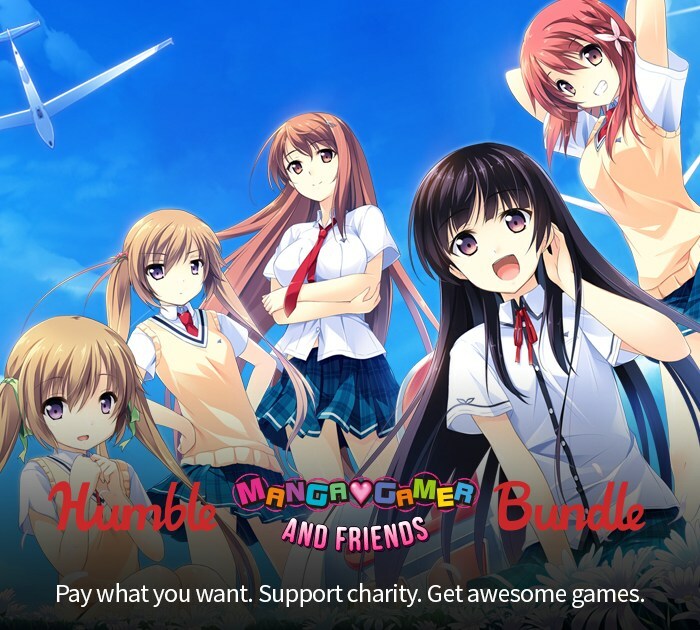 Humble MangaGamer and Friends Bundle would look great in my steam library thanks! I’d like to enter for the Software Bundle: VEGAS Pro. thomasmc995 – Humble Software Bundle: VEGAS Pro: Discover Creative Freedom, Please. I’d like the Humble Software Bundle: VEGAS Pro: Discover Creative Freedom please!! thanks very much and good luck to all! Merry X-Mas & Happy New Year!!!!! Thanks so much for putting on this giveaway! I’d be happy with any of these, but the Humble Book Bundle: Maker Skill Builders by Make one sounds interesting!